The recent parliamentary election in Georgia brought defeat to the party of President Saakashvili, though he himself remains in power until the 2013 presidential election. The country’s main strategic partner is the US and Georgians are following the contest between President Obama and Mitt Romney closely. Vladimer Papava explains why. Georgia’s parliamentary election of 1 October signified the beginning of the end for the authoritarian regime of Mikheil Saakashvili, who was swept into power by the Rose Revolution in November 2003. 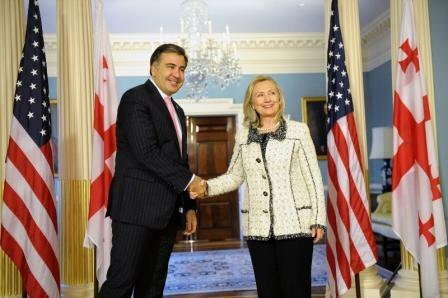 For a long time President Saakashvili exploited PR techniques and his oratorical gifts to preserve his image as a post-Soviet democrat and reformer. At the same time, there was a dawning recognition for many that his government’s abuses of human rights and property rights, and its unofficial control of business and the media were very familiar, resembling Bolshevik excesses from the Soviet past. The authoritarian-style government, reinforced with elements of despotism (a frequent topic of conversation in mid-September after the publication of shocking video footage filmed in Georgian prisons), made the Saakashvili regime neo-Bolshevik and his government ‘rosy’ in two senses: it was the Rose Revolution which brought him to power, but it also harked back to the ‘red’ of the Bolsheviks. The election that brought billionaire Bidzina Ivanishvili and his opposition coalition ‘Georgian Dream’ to power may have been contested, but it was not fair: the ‘rosy’ government made maximum use of its management reserves, as well as finances from the national budget, while at the same time vetoing Ivanishvili using his own money to fund his election campaign. Despite this, the winner of the election was the Georgian people who have a strong desire to live to in a democratic country where their human rights will not be abused, where there is freedom of speech and the market economy will have a chance to develop. The ‘Georgian Dream’ victory in the election marks the beginning of a new stage of development, which we might call ‘post-rosy’. But for Georgia – as, indeed, for the whole world – the results of the US Presidential Election are far from unimportant. America is the main strategic partner of this small nation in the Caucasus, so the question is not simply one of idle curiosity. In May 2005, the Republican US president, George W. Bush came to Tbilisi. The whole of Georgia was delighted, because his visit was generally regarded as confirmation of Washington’s support for Georgian independence. This obvious endorsement was regarded by President Saakashvili as a licence to deviate from the generally-accepted standards of a democratic society. It was after the American president’s visit to Tbilisi that Saakashvili’s ‘rose’ government started becoming increasingly like its Soviet predecessor. Georgians were amazed to see that the Bush administration preferred to look the other way as Saakashvili gradually abandoned democratic ideals, and the general perception of America as the flagship of democracy began to fade. Georgia was nevertheless grateful to the Bush administration for its support at the time of Russian military aggression in August 2008. During the 2008 US presidential election, Georgia’s ‘rose’ government and its supporters were openly rooting for the Republican candidate, John McCain. The hope was that Washington would then continue the Bush policy of blind support for the increasingly authoritarian Saakashvili regime. For exactly the opposite reason, the rest of Georgia supported the Democratic candidate, Barack Obama, in the hope that he would not be encumbered by the obligations of his Republican predecessor. The ‘Georgian Dream’ victory at the polls can be laid first and foremost at the door of the Georgian electorate, which on the whole resisted government subornations and was unafraid of the rosy regime’s punitive measures. Voters were properly appreciative of the efforts made by the US, the EU and several international organisations during the election campaign, the election itself, and afterwards. Worthy of special attention was President Obama’s statement after his meeting (January 2012) with President Saakashvili about the need for a peaceful transfer of power after the election. Secretary of State Clinton also spoke about this on more than one occasion with the Georgian leadership. Georgian voters were particularly struck by the fact that the day after the election i.e. long before the formal announcement of the results, the US Ambassador Richard Norland and US Senators Jeanne Shaheen and James Risch congratulated the leader of the ‘Georgian Dream’ coalition, Bidzina Ivanishvili, on his victory at the polls. It was only after this that President Saakashvili accepted his party’s defeat: previously he had officially stated that his party the National Movement would retain its parliamentary majority. In diplomatic language this means that Mikhail Saakashvili was under pressure from Georgia’s American friends to accept things as they were i.e. defeat, in order to preserve his image as a democrat. It was very important for Georgian citizens who triumphed at the polls that the American Democratic administration endorsed the choice of the people, rather than the so-called pro-Western, but non-democratic, Saakashvili, who had received such blind support from the Republican administration. It goes without saying that everyone who voted for ‘Georgian Dream’ wants to see Barack Obama re-elected President of the USA. They are not at all sure that Saakashvili, with the assistance of his Republican friends, would not manage to get the support of Mitt Romney, should he be elected. This perception of Democrats and Republicans in the US somewhat simplifies the reality, of course, which is evidenced by the fact that Bidzina Ivanishvili received his first congratulations from the Democrats (Senator Jeanne Shaheen) and the Republicans (Senator James Risch). President Saakashvili will stay in post for one more year, until the next presidential election. Acknowledging his party’s defeat at the polls, he declared that he was going over to the opposition, although what this actually means is still not quite clear. Fears are periodically expressed in Georgia that Saakashvili and his team will make a revenge, although for the moment there are no objective grounds for this apprehension. But recent bitter experience has taught the Georgians to hope that the Americans will elect the Democratic candidate as president. When Bidzina Ivanishvili appeared on the political arena and set up his party ‘Georgian Dream’, many Georgians became ‘dreamers’. Among their dreams is the hope that their country will truly be able to move towards democracy. They also hope that their country’s main strategic partner will have an administration which will offer realistic support for their chosen course of democratic development, and will not turn a blind eye to any, however insignificant, deviation from it.